Artichokes are an antioxidant superfood. According to the US Department of Agriculture, this slightly intimidating vegetable with its thorny exterior ranked number 1 among its veggie peers in polyphenol (a type of antioxidant) content! Certain specific polyphenol antioxidants in the artichoke may help lower cholesterol levels. The artichoke is also a great source of inulin which is categorized as a prebiotic. This means it helps to maintain a healthy gastrointestinal environment by promoting the growth of native and friendly intestinal bacteria. This in turn strengthens and protects the mucosal barrier of the gut. Rich in dietary fiber, vitamin C and K and a good source of potassium, magnesium and manganese, the cooked artichoke is just 60 calories. Need a snack? Instead of reaching for a bag of chips, grab an artichoke instead and follow the simple recipe below. 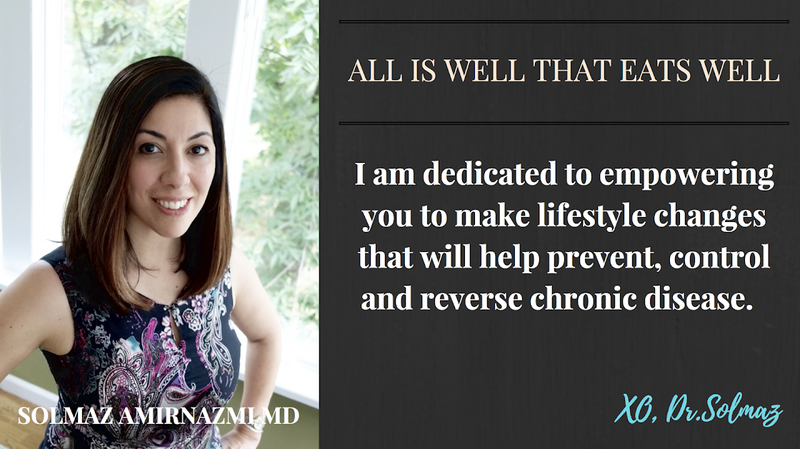 Your body will thank you! First take a pot and add about 2 inches of water and let that come to a boil. 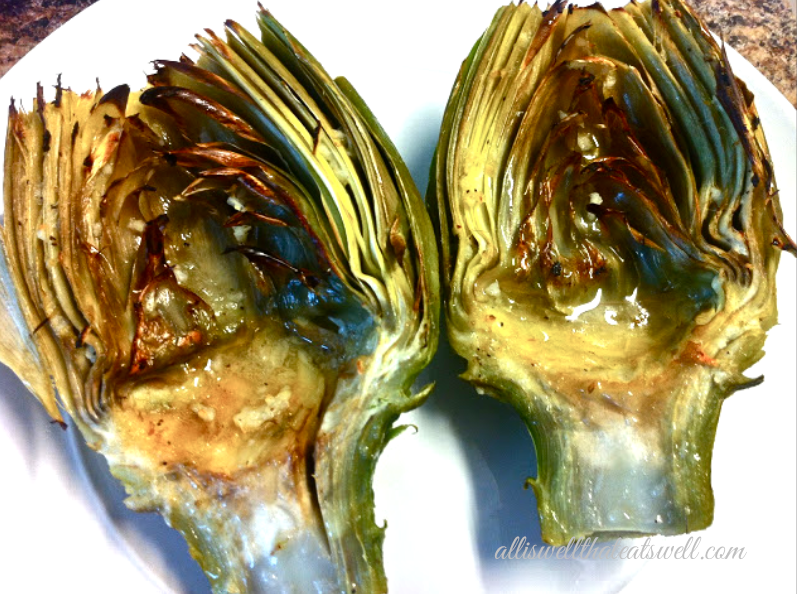 While you are waiting, take your artichoke and remove the out layer of leaves. Then trim about 3/4 of an inch off the top of the artichoke and cut the thorns off any of the outer leaves (either with scissors or a knife). And finally, slice off any excess stem. I leave about 1-1.5 inches of stem on. Once the water comes to a boil, add the artichoke to the pot and turn burner down to medium/high, cover and steam for about 30 minutes (about 5-10 minutes before time is up, turn the oven on to broil). In a bowl, combine olive oil, lemon juice, crushed garlic, salt and pepper well. Using a serrated knife, cut the artichoke in half, and remove the chokes (furry party with purple leaves) from the center with a knife. Then place the artichoke halves into a Pyrex dish and add the olive oil mixture on top. Make sure the mixture is nicely distributed on all parts of the veggie (I like to separate all the leaves with my fingers and get the mixture in between them so that when it's ready to eat, I taste the marinade in each bite). Now pop this into the broiler and remove after 7-10 minutes. Enjoy this nutrient-rich, tasty snack. Made this tonight - yummmmmmmy! I am a big fan of the stem (so good) Highly recommend.